In 2007, Megaphone was re-programmed for other uses and a revised version was marketed by Collactive, a firm that was at the center of providing spamming software to unscrupulous online marketers. The seed money for Collactive was provided by Sequoia Capital, a Menlo Park, California-based venture capital firm active in financing high-technology ventures in Israel. It is no coincidence that Sequoia Capital’s headquarters is located a mere 7.5 miles from Facebook’s headquarters in East Palo Alto. The nexus of spamming software developers and deep data mining firms like Facebook and Google, the latter just 10 miles from Sequoia, would soon pose a significant threat to the conducting of democratic elections in over 100 countries and regions and provinces around the world. It is now known that Facebook was permitting Cambridge Analytica, a UK-based company, to mine the ubiquitous provider repository of personal data, to develop software to geo-demographically target, and thus influence, the decisions of voters around the world. Far from tampering with voting machines or vote tabulation machines, what Cambridge Analytica did, along with its US-based subsidiary – Cambridge Analytica LLC – was to tamper with the minds of voters. This was accomplished using sophisticated psychographic programs. After several dubious elections in the United States, including the 2000 and 2004 presidential elections, both rife with election fraud in Florida and Ohio, respectively, the new method for “throwing” elections resided at the voter decision level. By psychographically profiling voters based on their web activity and behavior, interests, attitudes, values, Cambridge Analytica — armed with weaponized election outcome-based software — was able to conduct mass psychological warfare campaigns to steer voters away from certain political candidates, their political parties, and popular referendum choices. Microtargeting 230 million American voters using as many as 5000 different data vectors harvested from the massive databases of Facebook, Twitter, Google, and other social media applications was the determining factor in Trump’s election victory. In almost every case where elections were influenced by these manipulation operations, parties and candidates favorable to Israel and Israeli interests were the victors. GIYUS and Megaphone had been transformed from an influence-peddling operation to a full-blown election behavioral change outcome determiner. Instead of online polls succumbing to the purveyors of such malfeasance, it was actual polls that became the target for “Made in Israel” psychological manipulation. Donald Trump’s upset election victory in 2016 was helped along by Long Island, New York hedge fund tycoon and computer scientist Robert Mercer. Mercer, a right-wing product of the military-intelligence complex, owing to his early work on artificial intelligence for the US Air Force Weapons Laboratory at Kirtland Air Force Base in New Mexico. Mercer was able to transform artificial intelligence used for weapons systems to predict winners and losers in the stock market. The programs developed by Mercer made him a multi-billionaire. Mercer’s Renaissance Technologies was a major investor in Cambridge Analytica. Robert Mercer and his daughter Rebekah Mercer were also major financiers of the pro-Trump alt-right news site Breitbart News. Cambridge Analytica, working hand-in-glove with Breitbart and the Trump presidential campaign’s digital operations unit, engaged in a psychographic and psychological warfare campaign unseen in US history and preceded virtually-unreported election interference operations in in Europe, Latin America, Asia, and Latin America. Cambridge Analytica’s parent company, SCL Group of London, formerly Strategic Communication Laboratories (SCL) – a firm with links to the British Ministry of Defense, Britain’s MI-6, and the US Departments of Defense and State – was founded in 1993 by a former executive with the advertising firm Saatchi & Saatchi. The advertising giant was founded in 1970 by brothers Maurice and Charles Saatchi, who hailed from a very wealthy Jewish family in Baghdad, Iraq. The Saatchi brothers, both Orthodox Jews, as are Trump’s son-in-law Jared Kushner and daughter Ivanka Trump, are strong supporters of Israel. The connections between SCL and Cambridge Analytica to prior web-based propaganda operations developed by Israeli intelligence, therefore, should be of no surprise. A Cambridge Analytica psychologist, Michal Kosinski, was involved in research by a private firm that concluded that Internet users who “liked” Nike shoes and KitKat chocolate bars were also anti-Israeli. Some of Kosinski’s funding came from the US Defense Advanced Research Projects Agency (DARPA), a notorious research laundering operation for the Central Intelligence Agency and National Security Agency. Nor should it be surprising that Cambridge Analytica employed the services of two rabid pro-Israeli officials in the Trump campaign and early administration, indicted former Trump National Security Adviser, Lt. General Michael Flynn, and former Trump chief strategist, Steve Bannon. Jared Kushner, whose ex-convict father Charles Kushner has close ties with Israeli intelligence, personally oversaw the use of Cambridge Analytica by the Trump campaign. In fact, the classic intelligence “tradecraft” employed by Cambridge Analytica, under the direction of its former CEO, Alexander Nix – starting vicious rumors about political candidates’ sexual orientation and other sexual habits, as well as trying to compromise candidates with attractive female Ukrainian prostitutes – are favored tactics of Israel’s Mossad. Charles Kushner employed such entrapment tactics in helping to set up, in an Israeli intelligence-led homosexual “honeytrap,” the former Democratic Governor of New Jersey, Jim McGreevey. Charles Kushner was also criminally charged with trying to use prostitutes to entrap his accountant and brother-in-law, government witnesses in the federal corruption case brought against him. Cambridge Analytics had at least 10 employees embedded in the Trump campaign’s digital operations, which was led by Brad Parscale, recently named as the head of Trump’s 2020 re-election campaign. There are also connections between Cambridge Analytica and Palantir, the firm established with CIA venture capital funds and headed by Trump’s close friend and economic adviser Peter Thiel. Headquartered only a few miles from Facebook and Google in Palo Alto, Palantir uses deeply-mined personal and geospatial data to assist the Pentagon and US intelligence community in conducting micro- and macro-targeted psychological warfare and “information operations.” Palantir is only 10 miles from another firm that started with CIA seed money, Oracle, Inc., the grandfather of relational databases. Based on the origins of Cambridge Analytica, SCL Group, Renaissance Technologies, Saatchi & Saatchi, Sequoia Capital, Facebook, Google, Palantir, Collactive, and Megaphone/GIYUS, there is no “maybe” about the involvement of Ukrainians and Soviet Jews in psychographic election manipulation. One could add to President Putin’s list, Moldovans, Israelis, and British and American nationals, not to mention Latvians, Estonians, Romanians, Turks, and Macedonians. SCL Group conducted classified research for Britain’s Ministry of Defense and NATO on “Target Audience Analysis” (TAA), a subset of what Western intelligence agencies call “Population Intelligence.” Rather than having ties to Russian intelligence or the Russian government, Cambridge Analytica’s and SCL Group’s links beat a direct path to Whitehall, the Pentagon, Foggy Bottom, the US Defense Intelligence Agency while under the command of General Flynn, UK Conservative Party headquarters, NATO headquarters in Brussels, and most particularly, the Mossad and Israeli Defense Ministry in Tel Aviv. The extent of Cambridge/SCL Group’s election interference around the world is staggering. In addition to the United States, conglomerate has been active in elections in Kenya, India, Trinidad and Tobago, Antigua and Barbuda, Moldova, St. Lucia, Argentina, Czech Republic, Ghana, Latvia, Italy, Nigeria, St. Kitts-Nevis, Mexico, Jamaica, Poland, Scotland, Lithuania, German, France, Hungary, Romania, Thailand, South Africa, Brazil, Indonesia, Northern Ireland, Kedah, Bihar, Colombia, Dominica, St. Vincent and Grenadines, Iceland, Nepal, Iran, Malaysia, and the Brexit “Leave” campaign in the United Kingdom. In 2015, Cambridge Analytica’s Israeli hackers operating from its London office hacked the emails of then-Nigerian presidential candidate Muhammadu Buhari to dig up embarrassing personal information about the candidate, a Muslim. This was to benefit incumbent President Goodluck Jonathan, a Christian who supported close ties to Israel. That same year, Israeli hackers hacked the email and medical records of St. Kitts-Nevis opposition leader Timothy Harris of the People’s Labor Party. The Israeli government was known to oppose Harris for his policy of strengthening ties with Venezuela, a bitter opponent of Israel. Harris, against the odds imposed by the Israeli hackers and Cambridge, won the election. 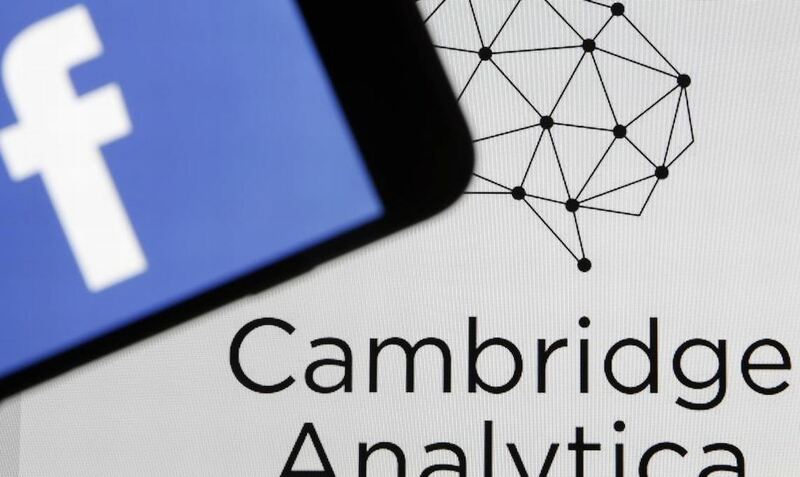 Cambridge Analytica struck again in 2017 when it helped President Uhuru Kenyatta’s re-election campaign in Kenya to spread on-line malicious rumors and gossip about his opponent, using Facebook and its application, Whatsapp. Kenyatta has maintained strong intelligence and military relations with Israel. In practically every election in which it interfered, Cambridge Analytica and SCL did so on behalf of leaders and parties favoring close ties with Israel. This was no coincidence. With all the attention on election integrity, now comes along a firm offering block-chaining technology to audit and authenticate vote counts. Agora, a Swiss-based firm blockchain technology company issued the following press release on March 8, 2018: “Sierra Leone’s 2018 presidential elections, which took place on March 7th, represents the first time in history that blockchain technology has been used in a national government election. West District’s results were registered on Agora’s unforgeable blockchain ledger, and the tally made publicly available days before the usual manual count.” Block-chain technology is at the core of cryptocurrencies like Bitcoin. It is also no coincidence that behind the introduction of cryptocurrency in the Republic of the Marshall Islands, a close diplomatic ally of Israel, are Israeli technology firms. The manipulation and penetration of global elections to benefit Israel will not end in the foreseeable future nor will politicians, afraid of the Israeli Lobby, point fingers at the true culprits behind election malfeasance in over 100 countries.